39-year-old woman has a whopping 38 children! She claims that she bore 44 children but lost six. She's been dubbed the most fertile woman in Uganda! 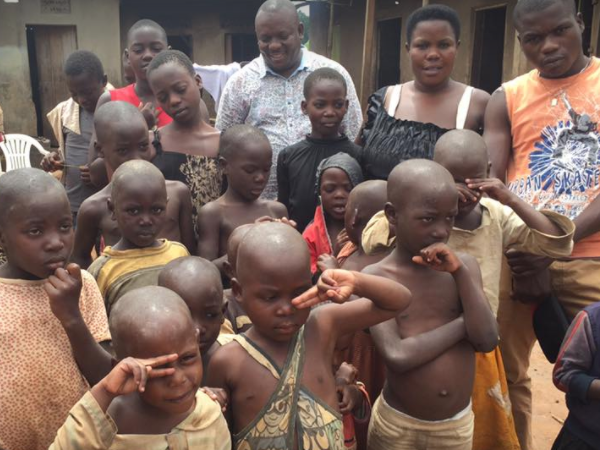 At the age of just 39, Mariam Nabatanzi from Uganda is already a mother to a whopping 38 children. All these children are fathered by one man, whom she was married off to when he she was just 13 years old. He was 43 at the time. But her husband has since left, never to be seen again – leaving Mariam to raise her children alone. In a video by journalist Kassim Kayira, Mariam claims that she actually bore 44 kids in total, but lost six. Her first births were four pairs of twins and thereafter she fell pregnant three times with quintuplets, and then she had three sets of triplets. After that, she fell pregnant over and again with twins. Joy Doreen Biira, a journalist for Eco Africa, wrote on Twitter, "Nabatanzi’s first births were four pairs of twins. She then went to the doctors worried that her fertility would kill her. However, doctors couldn't help her. "The gap between each set of births is 1,8 years and she has apparently given natural birth to all her children," she added. Mariam also said that she has tried contraceptives but they didn't work on her at all. She's since been diagnosed with a rare medical condition called hyperovulation which means whenever she got pregnant, she would give birth to sets of twins, triplets, or quads. I'm a 27 year old woman looking to meet men between the ages of 25 and 37.